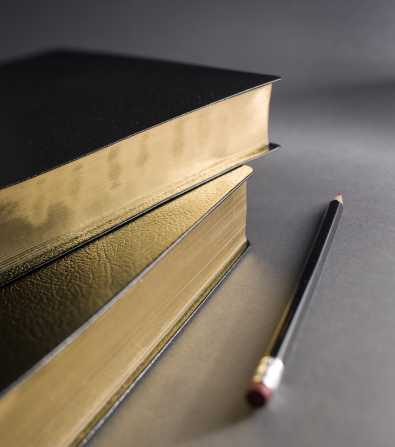 Editor's note: This is number 32 in a series of posts by Dennis Horne, sharing quotes from his book, Determining Doctrine: A Reference Guide for Evaluating Doctrinal Truth. You can read the introductory post here. The first part of each post is a new introduction, placing the quotes in context with contemporary issues. The quotes that then follow are from the Determining Doctrine book, which contains many quotes that are not readily available elsewhere or are exclusive to the book. Both the term “standard works” and its meaning have evolved and solidified over many years of Church history. It began in the latter half of the 1800s as a loose term that implied that the fundamental doctrines of the Church were to be found in and measured by the books written for the information, edification, and direction of the Church, especially containing the revelations of its leaders, but also accounts of their lives and sermons. By around 1900, because of the influence of Elder James E. Talmage and President Joseph F. Smith, the different parts of the term began to solidify into one definite meaning. Early variations included “doctrinal standards,” “church works,” “standards of the Church,” “standard church books,” and “standard church works,” but today is almost exclusively given as “standard works.” This term has now come to signify the source of near absolute doctrinal measurement and authority in the Church and is only applied to four books of written and canonized revelations (or scripture): The Bible, the Book of Mormon, the Doctrine and Covenants, and the Pearl of Great Price. In fact, today the word “scriptures” is often to be heard or used more than the term “standard works.” While this is not overly concerning, it does tend to blur the line between spoken/verbal/oral scripture, which is given forth every time a righteous person speaks by the power of the Holy Ghost, and the canonized and binding scriptures, which constitute the four books of Latter-day Saints scripture. Even though the Bible and the Book of Mormon have not been formally sustained in General Conference by the membership assembled, they are formally stated to be the word of God in the Articles of Faith (which have been sustained by the Church) and are so fundamental as to be beyond question books of the scriptural canon. Further, because a book was referred to or designated as a “standard work” in the 1800s, does not make it so now. Certainly no one should regard the Journal of Discourses as canonized scripture. A few more examples of the early usage and broader meaning of the term “standard works” are given below. We see no reason why the volumes of the FAITH-PROMOTING SERIES already published, as well as those which may follow, should not be regarded as standard works for the Church and used for home reading or Sunday School class books when the authors and those whose history they treat shall have passed to another sphere of action. Upon this latter point, especially, let me say a word. Let us provide schools, competent teachers, and good books for our children, and let us pay our teachers. I would have no objection to seeing the standard works of the Church introduced into our schools, that our children may be taught more pertaining to the principles of the gospel in the future than they are at present…. We would recommend to conference presidents and other presiding officers in the various branches of the Church, that where possible, they have the elders in their charge follow regularly and systematically a study of the standard works and other approved publications of the Church, thus more fully equipping themselves as teachers to the world…. Brethren…keep closely to the teachings of the revealed word, as made plain in the standard works of the Church and through the utterances of the living prophets; and let not a difference of views on abstruse matters of doctrine absorb your attention, lest thereby you become estranged from one another and separated from the Spirit of the Lord.